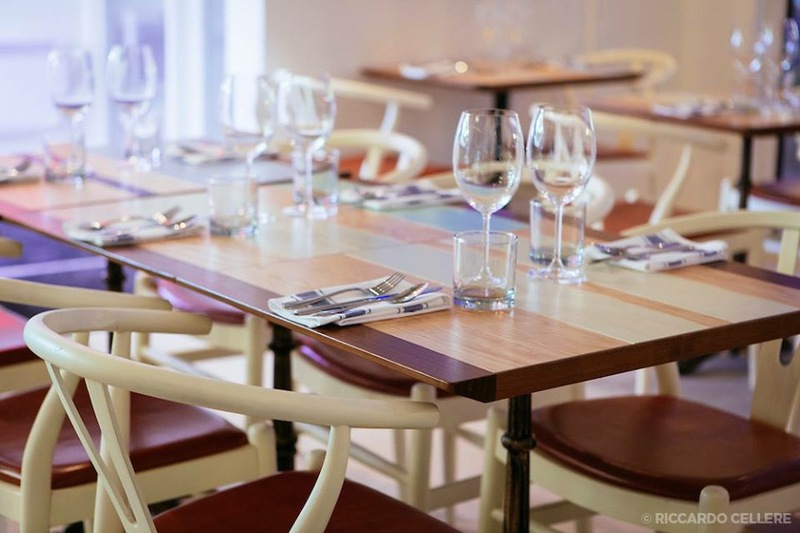 You can tell when a restaurateur is also a chef just by the look of the kitchen. That is one of the first things I noticed when I walked into Antonio Park’s Lavanderia restaurant. An open kitchen with a minimalist decor, the place also boast high ceilings and windows that let in lots of light. The choice of light pastel colors also accentuate that fresh bright feeling you are surrounded with. Lavenderia is and Argentinian restaurant with food inspired by the owners childhood in that country. There are few items on the brunch menu but enough variety to satisfy all. I was not in the mood for something too heavy so I went for the omelette Aguacate but my friend went for the steak and egg. The omelette made with avocado and cheese was excellent and the avocado gave it a light taste. 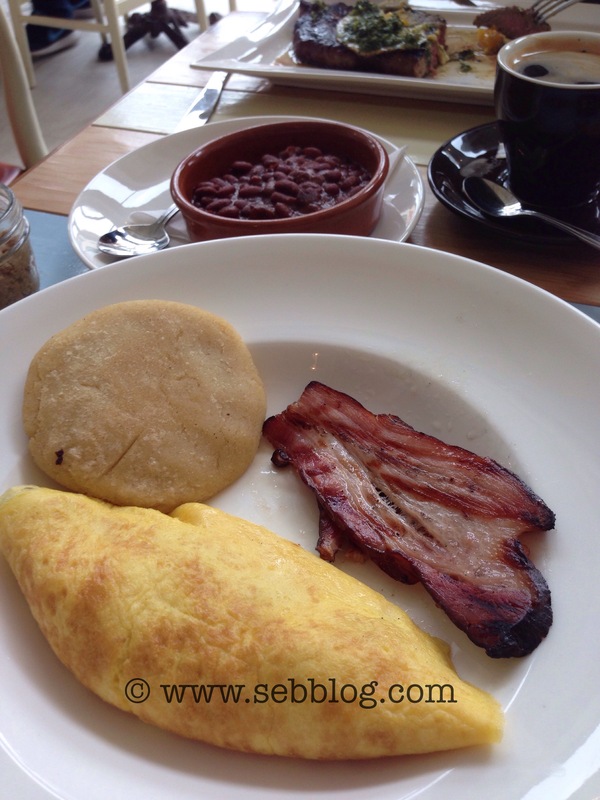 It was served with thick slices of bacon, salvadorena tortilla, beans and creton. The salvadorena tortilla is like a thick paste and very filling. 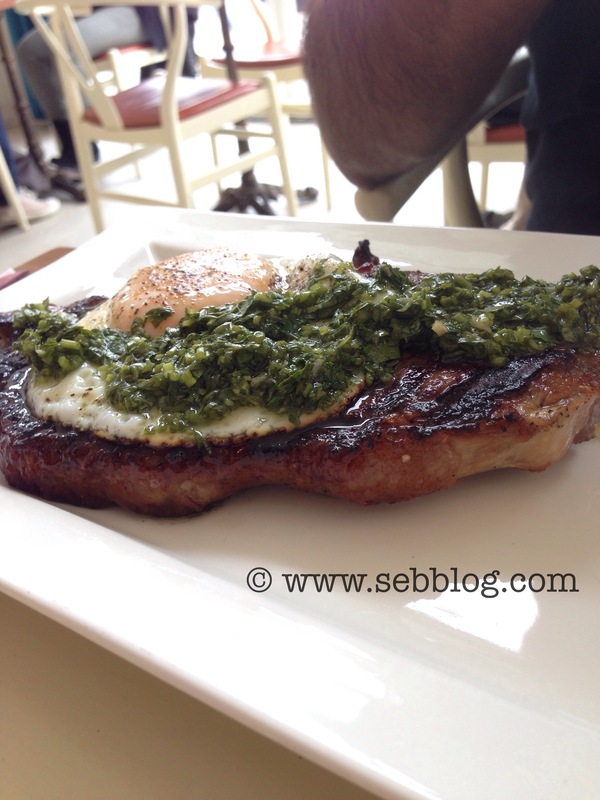 The steak and egg were very well presented, a sirloin top with a sunny side up egg and served with Binchotan sweet potatoes and Chimichurri. I got to taste the steak and the difference in this type of establishment compare to a few is the quality and cut of the meat. Often when you order steak and eggs the cut of the meat is not always tender, this one was fit for a steak diner and better than what’s served in a few so-called steakhouse around town. Definitely a place to try if you want to experience a great brunch. P.S. If you’re lucky you might cross P.K. Subban, I saw him walk in Park next door while I was eating.